JACKSON, Tenn. — What do nontraditional students need to be successful? Local educators and business leaders are coming together to work for these students in the community. “We want to make sure in higher education, we are producing the graduates that the workforce needs, and sometimes you don’t find that out unless you get around the table and talk,” said Mike Krause, executive director of Tennessee Higher Education. 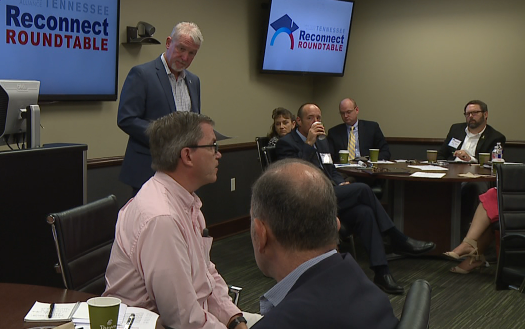 Jason Bates from Toyota Bodine says employees need a degree to get hired at his plant, and Tennessee Reconnect is helping. “There are individuals at our plant who have decided to get their credentials so that they can come and work at a higher paying job,” Bates said. Krause says they are shocked by the number of Reconnect students across the state. “The reality is we hoped 8,000 would apply, and we’ve now had 32,000,” he said. But now, the challenge is making it possible for students to complete their degree. “Making sure those 32,000 students come onto our campuses and really meet conditions where they can succeed,” he said. That’s where the conversation starts for businesses. “Let’s change the work schedule, and make it available, or online classes, or support their education with tuition reimbursement,” said Jeff Sisk, director of Tennessee College of Applied Technology-Jackson. “Are we positioning our colleges in such a way that when an adult shows up, they’re maybe able to take classes during flexible hours, they’re able to meet with advisers flexibly?” Krause said. Local colleges want potential students to know that they want to work with you. Visit www.tnreconnect.gov for more information.